We're still waiting for some final updates and news from NATPE 2013, so we won't bring you the annual what's coming up in syndication this fall list today. We hope to have that for you tomorrow...so stay with us. Anyway, we hinted last week that we would have some good news for fans of The Golden Girls and we will fulfill that promise today! 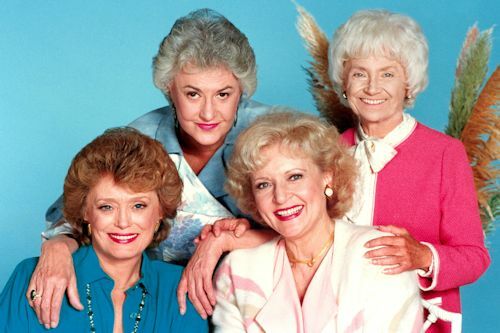 As you may have noticed, The Golden Girls was pulled from the WE tv line-up a few months back. 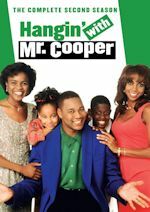 The network will be losing the rights to the sitcom this March and will not renew. 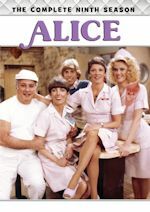 They were sharing the series with the Hallmark Channel, but that network will keep airing the series and will not lose rights. However, WE tv's rights are headed to another cable network and it is TV Land! The Golden Girls joins the TV Land line-up on Saturday, March 16 and Sunday, March 17, 2013 with a weekend marathon from 3pm-11pm on both days with all the fun and laughs in Miami with Dorothy, Rose, Blanche and Sophia! In addition, for the week of March 18-22, the sitcom will have a week-long stunt in primetime as well from 7-10pm and more information on that will be announced at a later date. The sitcom will then start airing regularly after that every Mon-Sat from 7-9pm and Sundays 5-9pm - in primetime every night! Even with this new addition, no series will be leaving the TV Land schedule, but there will be some shifting of timeslots obviously. 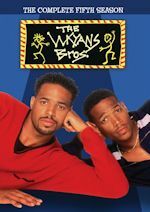 The Cosby Show will shift out of primetime to weekdays 6-7pm (leading into Golden Girls) and will gain a late night slot on weeknights at 3:30am cutting Roseanne to just 3am on weeknights. 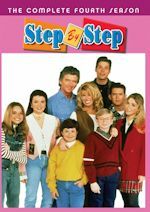 Cosby Show will still remain airing in the large blocks on weekends with Roseanne and Three's Company blocks. Back to weeknights, M*A*S*H will also shift earlier to weekdays 5-6pm, while The Andy Griffith Show afternoon block is now cut to 4-5pm. Everything else will remain as is, but as a reminder, don't forget Curb Your Enthusiasm joins the TV Land line-up on Feb. 16 and will air Mon-Sat 2-3am and Sundays 2-6am. For now, view the entire TV Land March 2013 schedule. Stay with us for updates and thank you for being a friend! 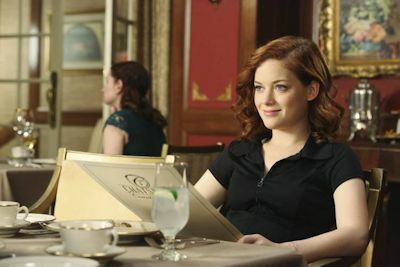 ABC's Comedy Wednesday sitcom starring Jane Levy and Jeremy Sisto and airs Wednesday nights at 9:30pm and we have just watched the next episode that airs tonight (Jan. 30). The episode has the return of Wilmer Valderrama as Yoni. 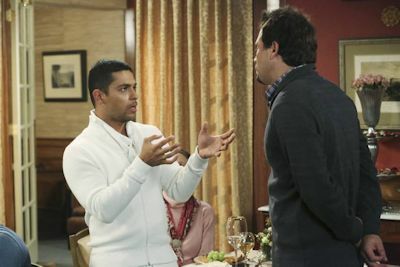 In the episode airing tonight, "Yakult Leader," when Dallas' dog Yakult becomes depressed, Dallas (Cheryl Hines) invites Yoni (guest star Wilmer Valderrama) back into their lives to help remove her negative energy. Everyone becomes enamored with Yoni except George (Jeremy Sisto), who believes Yoni really just wants Dallas back. Meanwhile Lisa Shay (Ana Gasteyer) convinces Tessa (Jane Levy) to help set Lisa (Allie Grant) up so she can get back in the dating game. The girls end up on a double date with Ryan (Parker Young) and Tessa's ex, Scott Strauss (guest star Thomas McDonell). Suburgatory is having a solid sophomore season. It might be better off paired with The Middle than Modern Family, but no matter where it airs, it doesn't take the fact away of how solid the season has been. Character have developed well and the series has been on a roll, especially since Thanksgiving. Tune in tonight because it will be following a repeat of Modern Family, so don't get confused. Suburagtory is still all-new and it's worth watching for sure tonight!